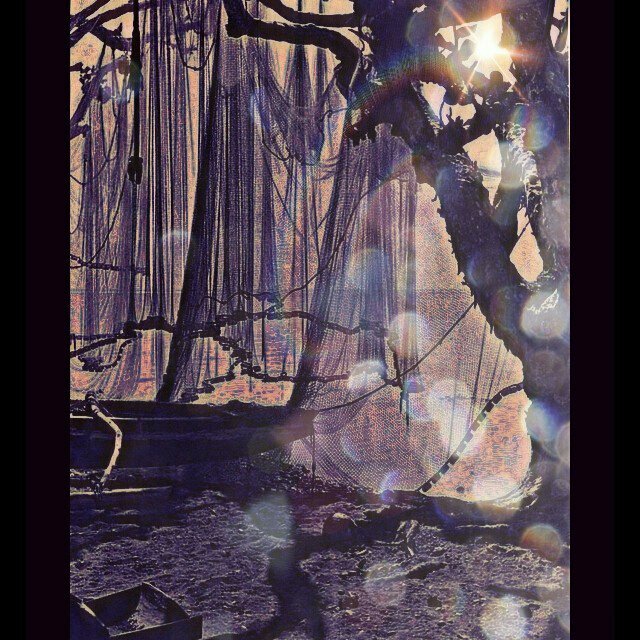 Created a dreamy pic to stare at and let my imagination go. When I look at this pic, I imagine a warm breeze softly stirring, gently rustling a ringing metal wind chime. There is a magical shimmer bouncing off of the water and dancing on the air. The sun is somewhere between afternoon and sunset, which creates the most beautiful warm, yellow-gold light; the kind of light that makes skin look smooth and sun-kissed with just the right shadow here and there. The sand is warm, not hot, but there are little twigs and shells which I step around as I drift about the shoreline. Stay tuned for an outfit post tomorrow!